The ProxNet software expands the functionality of the system but it is important to remember that most of the data is stored in both the controller and the PC and to prevent synchronization problems, once the ProxNet software is used all programming must be done via the PC. ProxNet software runs under the Windows operating system. NT requires version 4.0 with service pack 3 or higher. The ProxNet Graphic Display software (PGD) provides feedback of activity on a ProxNet installation by monitoring all the communications on the RS-485 network and shows the status of doors etc. on the monitoring PC’s display. The display screens can be based on site layout drawings or pictures. To this are added standard or user defined images that represent the various states of the access control elements. 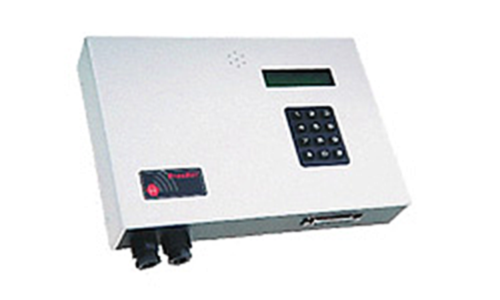 Each access control element has a range of attributes which affects the way activity is displayed on the screen and what actions (alarms etc.) are triggered by the activity. The PGD system can easily be tailored to match the user’s requirement. Because of the way PGD has been implemented there can be many PCs monitoring and displaying information either of the whole site or subsections of the site. JVA Security Supply Center, Inc. plans to strategically position Sales and Service Outlets all around the country with its own in-house technical personnel, making it easier to offer fast and efficient after-sales repair service and on-the-spot expert technical advice throughout the Philippines.